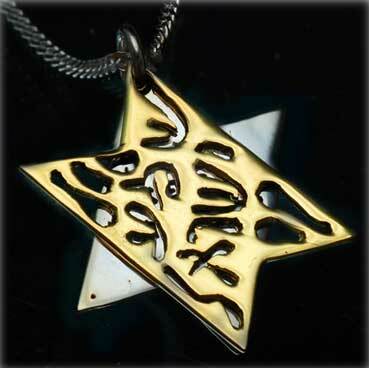 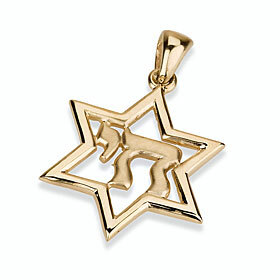 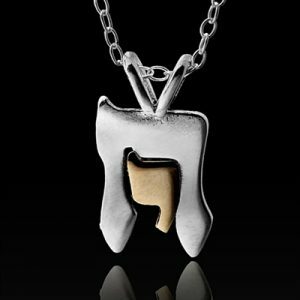 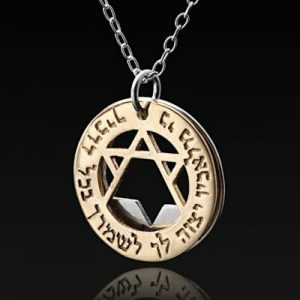 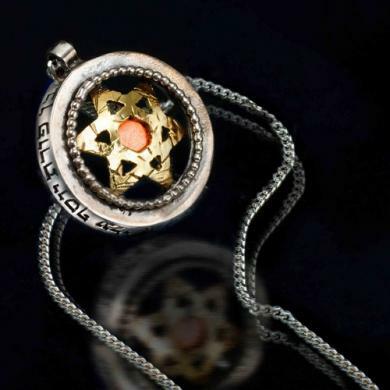 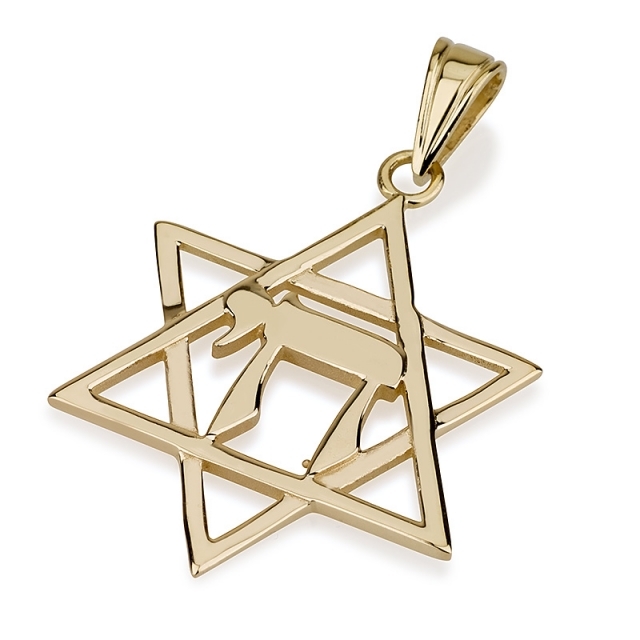 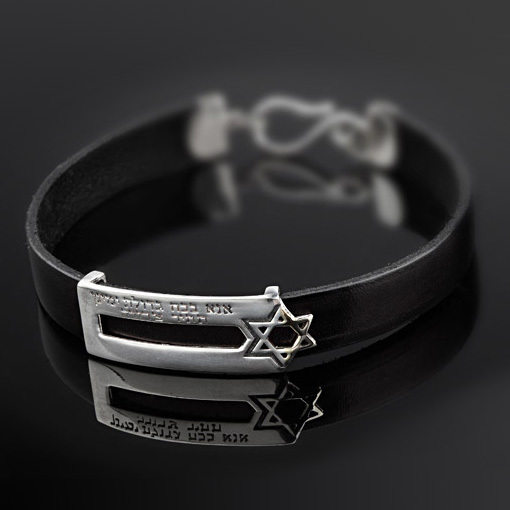 This amazing pendant, made from Sterling Silver, is decorated with 9 K gold Star of David. 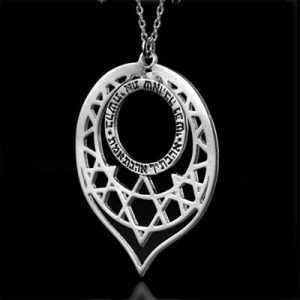 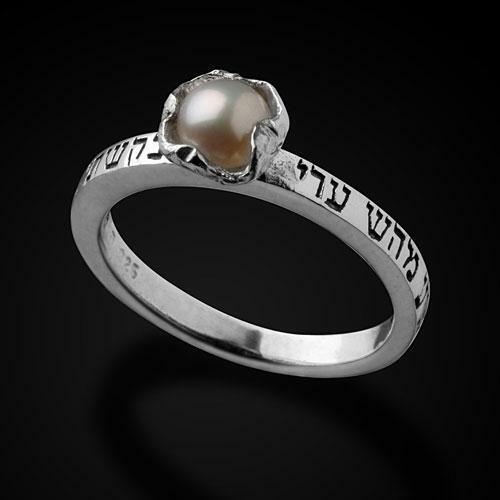 The round silver frame is engraved with the phrase “Ben Porat Yosef Alei Ayne”. 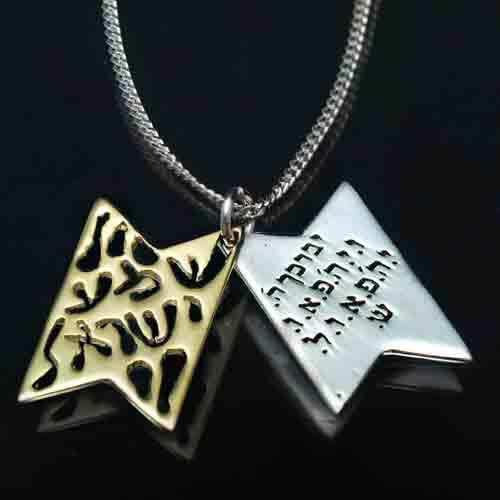 This phrase is taken from the book of Genesis. 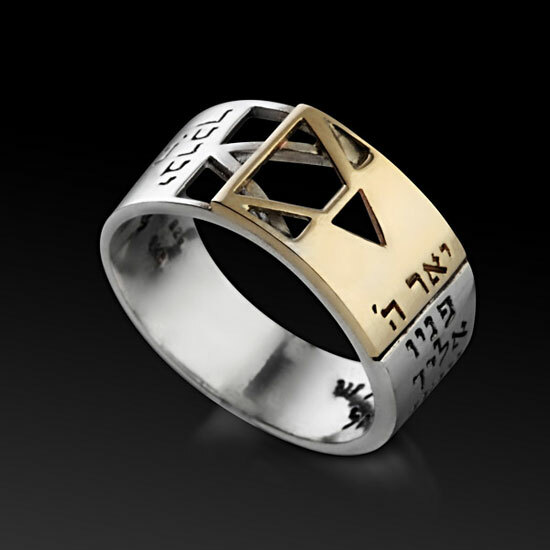 Before he died Jacob provided each of his 12 children with a unique Blessing. 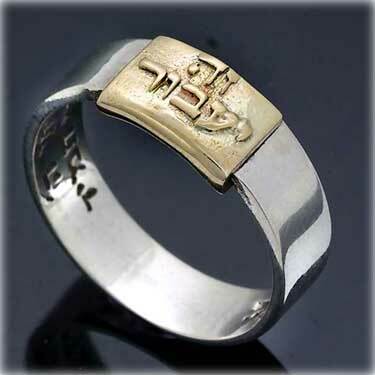 To Josef, his most favorite son, he gave the famous “Ben Porat Yosef” Blessing, which means a fruitful son (Genesis, 49:42). 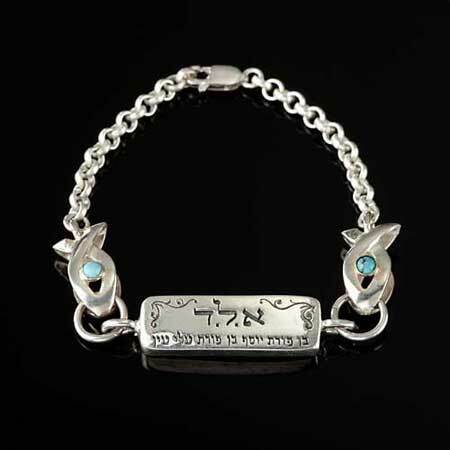 Since Joseph is considered righteous in Jewish tradition, it has become a custom to use his name as a virtue for blessing and protection. 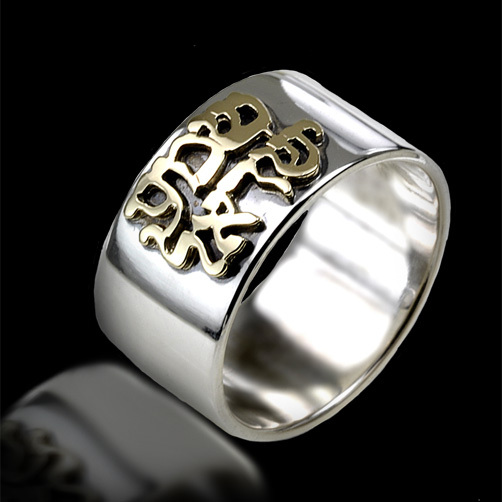 Diese wunderschöne Ring ist aus Sterling Silber und 14 Karat Gold. 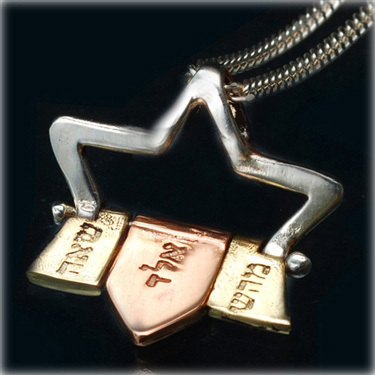 Der hebräische Schriftzug in Gold wunderschön buchstabiert die Worte Shema Yisrael (Höre, Israel) in 14K Gold.